Our News & Event section presents the most recent and up-to-date information on FESCA’s work, involvement in research projects as well as upcoming and past events. 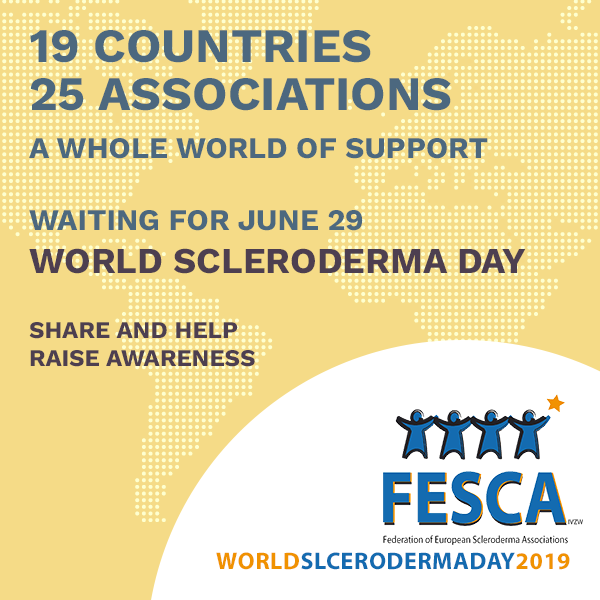 Remember to come back here regularly to read the latest information on scleroderma and systemic sclerosis! The biannual Systemic Sclerosis World Congress is of unique importance to patients and health professionals in sharing information, spreading awareness, and developing networks. Congress workshops put patients and doctors into direct one-to-one contact so that doctors unfamiliar with the progression of the rare progressive scleroderma disease can experience the breadth of its impact on a large number of people.